Jesus prayed for the unity of all believers, yet for hundreds of years the Church has rarely given it more than lip service. THE CROSS ALONE is a unique collection of 12 songs from a citywide church, working to lay down its differences and repent together at the foot of the Cross. This worship album will inspire individuals and churches to seek unity in their own cities, towns and communities. 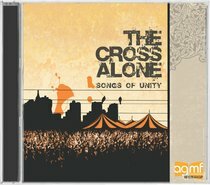 About "The Cross Alone: Songs of Unity"